Ive never been a particularly hard-core sock wearer. I prefer to run around barefoot and rarely wear shoes, unless I’m going out to town or working on the property. The socks that I do own seem to be very thin with plenty of holes (especially considering the amount of use they get). So I decided to make a pair of my own. 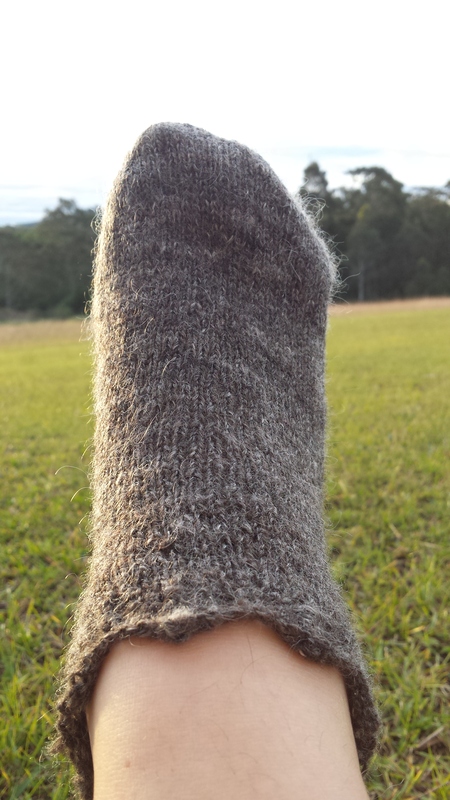 I did some research and found that a blend of down breed wool + mohair works really well together for socks, so I made up a few batts and came up with a blend that I think works really well. I’m using a gorgeous Dorset Down fleece that I bought from a lovely lady in Victoria mixed with 15% mohair and some local alpaca for some extra softness. 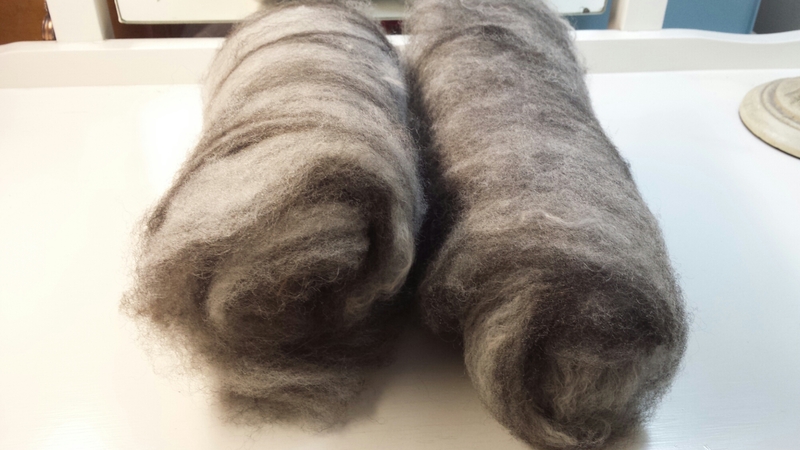 If anyone is interested, I’m selling the fleeces and handcarded batts in my etsy store.